This is the best book review for Feed I’ve ever read. Admittedly, I’ve never read a book review of Feed before, but after reading this post, I’m going to put it on my summer reading list. To me, the pernicious part of things like the Google goggles is that while they are explicitly supposed to saturate you with information about the world, they are actually, in many ways, concealing as much as they reveal. I read Feed over the weekend on my Kindle. It is ironic that it was a digital impulse purchase based upon your recommendation. However, I’m glad I did. I think I will also ask my digital media students to read it in the future. I normally have a working and living digitally project, so this will fit right with that theme. We are making a video this semester that includes a scene of a family that doesn’t speak- instead only uses texting. I wish I would have started the semester with Feed. Have you read Kurzweil’s Singularity is Near? He has a rather utopian view of computer enhanced intelligence. As I read it, I envisioned the problems and viruses that would plague people with always-on bio-connections to the Internet. Feed painted this picture vividly. I’ve been asking my students how many would sign up to bio-connect their brains to the Internet if it were available. Usually at least half say they would do it. Thanks for the great read and food for thought. Maybe this story will encourage deeper thInking on the issue. Glad you enjoyed Feed. Haven’t read Singularity is Near, but thanks for the tip. Also, I bet if/when your students read Feed, they’ll likely find the notion of a bio-connection to the internet more troubling than than appealing. 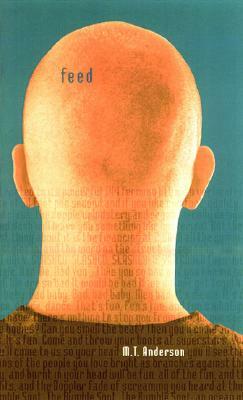 I read Feed in middle school, but ever since I’ve constantly been reminded by this book. Each year I find that new electronic devices or programs are capable of transforming our world into the reality represented in Feed. The internet can be used for so much good, in spreading information, communication and opinions, but at the same time some parts of the internet can be used to create a twisted world of dysfunctional relationships and a society run by corporate control. This is why we have the internet, to check power, to spread information to make sure authority is not taking advantage of us. But what happens when there isn’t as much regulation? I just hope that people will continue to discuss the ethics and possible effects of a device before it becomes part of the acceptable status quo. Thank you for writing this. It frightens me to think that people could want a computer chip implanted into their heads (as Bill said), but it reassures me to know that a book can help people become aware of the consequences of what could happen. Good job on making the connection between google glass and the feed. I never knew about either of them until a few days ago. You make a good point about google glass being eerily similar to the feed and it makes me wonder if google has read the books because if they haven’t then it is an odd coincidence. When you said “Are you sure it’s a great idea?” it reminded me of how into technology our society really is. I don’t have any problems with technology but it is sad to see people on their phone all the time, when walking down the street, when they’re at school, even when they’re with other people. 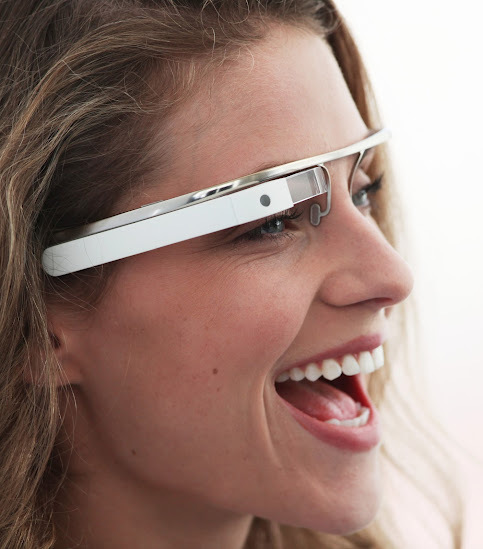 Do you think that if google glass was a success it would have solved that problem or would it have added to the problem? Think about that.